Over that last couple of weeks G has developed an attachment to the Playmobil people we have at home. We only have a few. They look like they are an avant garde 80s Art College band. 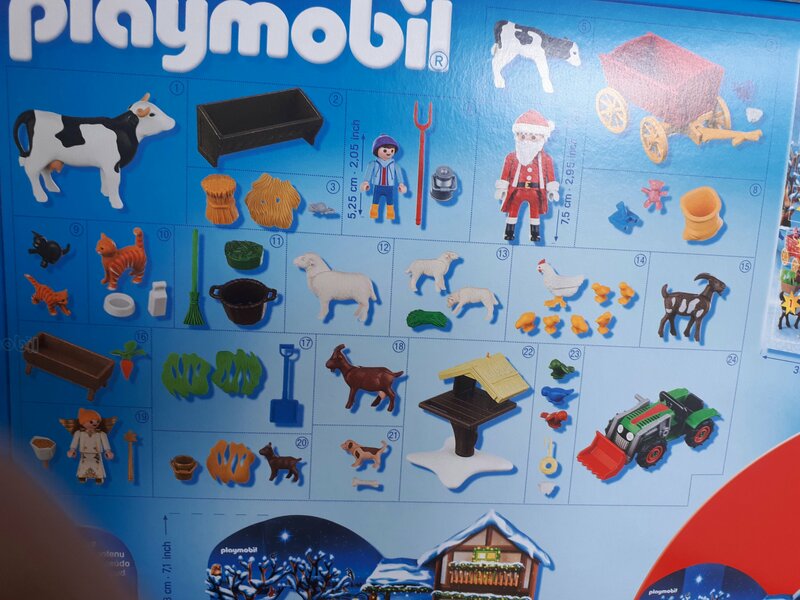 I’ve never been keen on Playmobil as they have slightly odd play sets like beaver and backpackers set with gnarled tree trunk or maternity ward playset or zombie science experiment lab. I made up the last one. I suppose they echo the reality of life. We have had loads of duplicate Lego sets here. So much plastic!! We unboxed the advent calendar last week for T and it’s a Lego one. 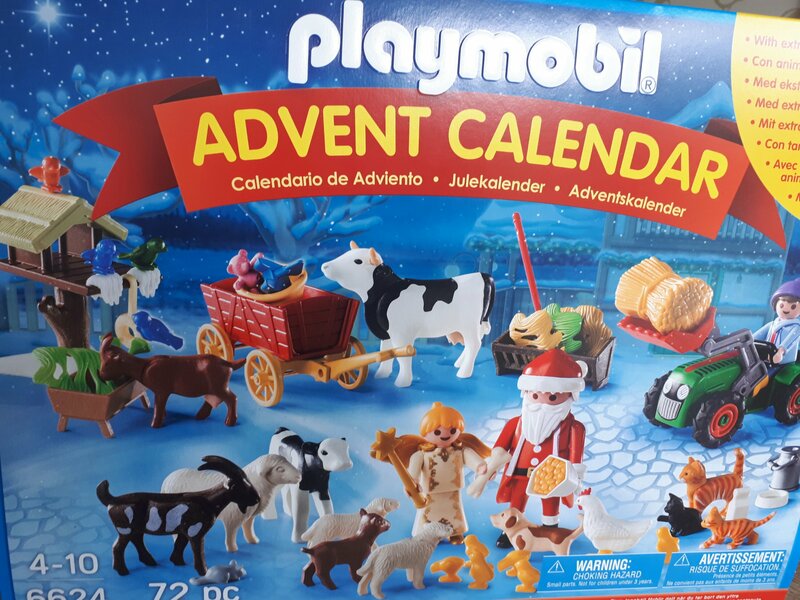 Mr TheoplusGrace found this Playmobil one. It’s complete with a chicken feeding Santa, Angel and tractor. Festive fun. I think she is going to love it. There are tiny pieces which will be removed, like the tiny chicks and mouse. It is aimed at 4 to 10 year olds. I’ve added photos of the front and back. The back tells you exactly what is in each window. Love Santa.